Today am reviewing the SoapWorks India soap. I received them a few days back but couldn't review them as I hadn't clicked the pics. After using so many handmade soaps I have started to hate commercial soaps. Let's hop onto the review to see how the soap fairs on its claims. Ingredients - Made with the goodness of Olive Oil, Coconut Oil, Castor Oil, Cocoa Butter, Cocoa Powder, Real Chocolate & Essential Oil. 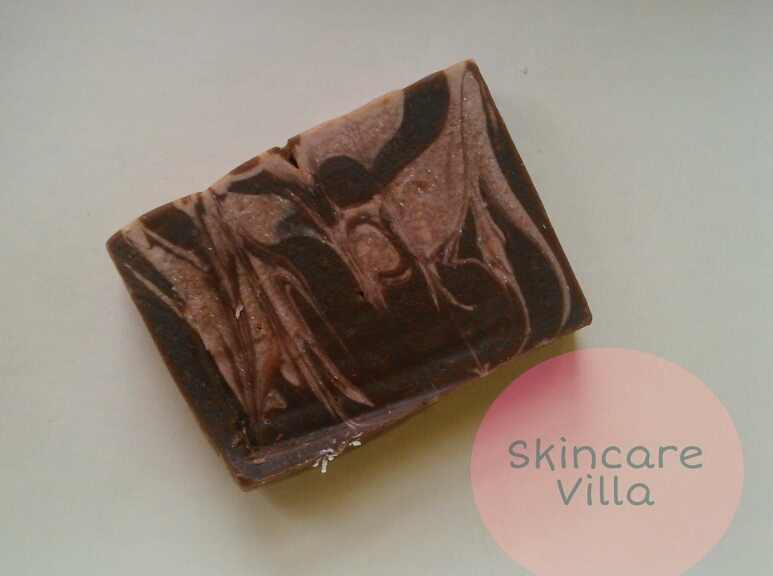 The soap is just like a chocolate fudge and smells amazing. The fragrance is totally out of the world and is just like chocolate. The fragrance is great and non bothering and non lingering at the same time. You can smell the fragrance by smelling your hands, I did the same as I was totally floored by the fragrance. The soap is dark chocolate coloured wrapped in a plastic coating. It would be great if the soap is packaged in cardboard packaging since that would just help any direct damage to the soap. Now the business part, the soap performs its job very effectively and efficiently. The soap has a frothy foam unlike commercial soaps. The foam gets washed off easily. The soap makes the skin soft and smooth post usage. Although it doesn't give any silky feeling to the skin. I also use handmade soaps on my face and this soap wasn't an exception. The skin feels fresh and clean after using the soap. The soap didn't dry out the skin and you may also skip the moisturization. But due to my habit I did :D.
The soap needs to be thoroughly dried before storage else you will end up wasting it in the gooey form. Price and Shelf Life - 183 INR for 120gms and shelf life not mentioned. 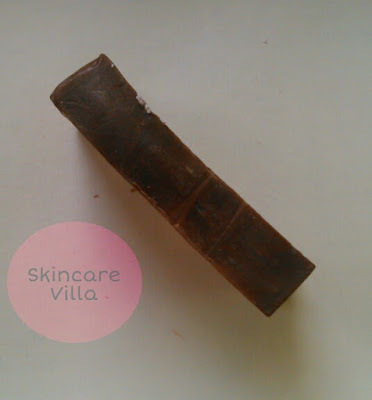 I would highly recommend the SoapWorks India Chocolate fudge soap due to its effectiveness. The soap has cocoa in the form of cocoa butter, Cocoa Powder and real chocolate, which is very beneficial for the skin in the long term. The soap performs its cleansing job quite well and is decently priced. Although like all handmade soaps it leaves gooey residue. But this part can be totally sidelined as the soap is totally worth a try and you will not at all be disappointed. Tell me your thoughts on handmade soaps and your blog URLs.